At the start of the New Year, weight loss is one thing which is in everybody’s mind and as the year advances – it gets more and more difficult to keep up with your New Year’s resolutions. As the stress of everyday life takes over, we all forget the goals we set for ourselves at the beginning of the year. But the starting of the year is the perfect time to set weight loss goals and to prepare a diet chart and a workout regime that will lead to definitive results. If one makes a habit of following a healthy diet, then it makes the task of losing weight slightly easier, as diet is more important than exercise when it comes to weight loss. So, even if you miss workout for a few days, your healthy diet makes sure that you don’t consume too many calories and derail your weight loss journey. When it comes to weight loss, it is important to include more and more foods in your diet that help stabilise your blood sugar levels, keep away hunger pangs and keep you full for longer. When it comes to keeping hunger pangs under check, healthy carbohydrates and fibre-rich foods are the best like whole grains. A whole grain is nutritional, unprocessed food grain that contains all three parts of a kernel, including the bran, germ and the endosperm. Whole grains are healthier as they contain the fibre-rich bran. The ancient grain of barley, or jau, is available in flour form and can be cooked and included in dishes like warm salads or can be accompanied with stir-fried vegetables. It’s better to opt for the hulled barley, as it is the unprocessed, nutritionally superior counterpart of the pearl barley that is prepared by removing the husk and the bran. 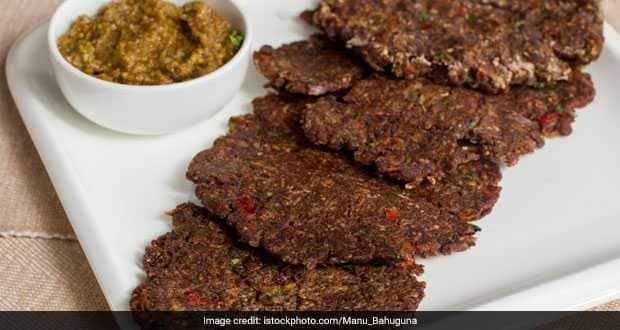 Finger millets, or ragi or nachni, is widely used to make rotis, parathas and now even dosas. It is a gluten-free grain that is highly placed in the world of nutrition, due to its known benefits against diabetes and anaemia. Ragi is also rich in vitamin D as well as calcium, which makes it great for the skin and bones. 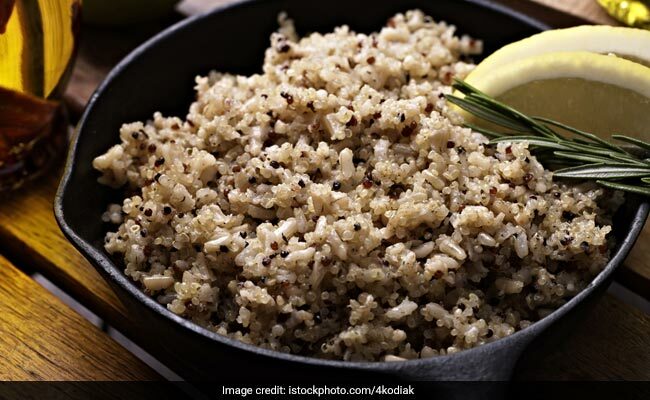 If you have vowed to give up starch in 2019 and lose weight, then brown rice is one grain that you must include in your diet. It has complex carbohydrates, as well as phytic acid and polyphenols, all of which make brown rice a formidable force against erratic blood sugar levels. It is rich in fibre and can boost digestion as well. Kuttu ka atta, or buckwheat flour, is extensively used during fasting festivals like Navratri, but it is good for weight loss as well. The nutty gluten-free whole grain buckwheat can be turned into rotis, noodles, pancakes, puris and the like. It has high amounts of fibre and can also boost levels of energy. It is rich in calcium, magnesium, iron, vitamin C as well as other essential vitamins and minerals. One of the best protein-rich whole grains for weight loss is quinoa. A 100-gm portion of the grain contains 14 gm of proteins, as well as 7 gm of fibre (as per the USDA data). Cooked quinoa can be included in salads and eaten with stir-fried vegetables and grilled meats. It is cholesterol-free food grain with a low glycaemic index and is preferred by people who have to build muscles and slim down. Apart from including these food grains in your weight loss diet, you should also include high-fibre cruciferous vegetables as well as high-fibre fruits in your diet. Make sure you cook your vegetables in order to derive the maximum nutrition from then. Eating whole fruits is better than drinking fruit juices, if you want to lose weight.